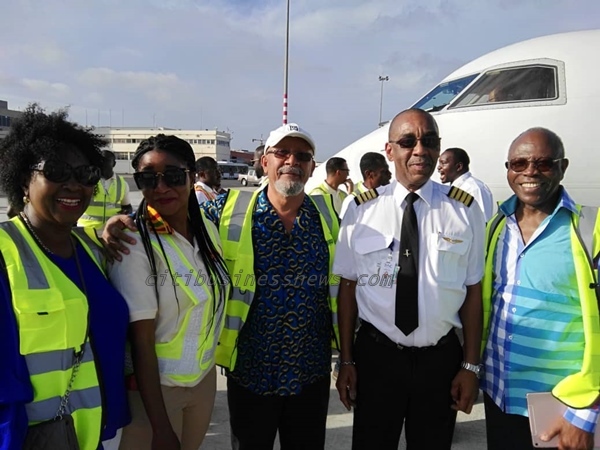 Passion Air has taken delivery of its second aircraft for its operations. The airline which is the latest to join the domestic aviation space will now expand its routes with the new aircraft. The new aircraft comes a little over a month into the start of operations by Passion Air. The aircraft also heralds the new Accra – Tamale route of the airline. The Managing Director of the Ghana Airport Company Limited, John Attafuah explained the pricing dynamics at the inauguration of the new aircraft on Saturday [September 29, 2018]. 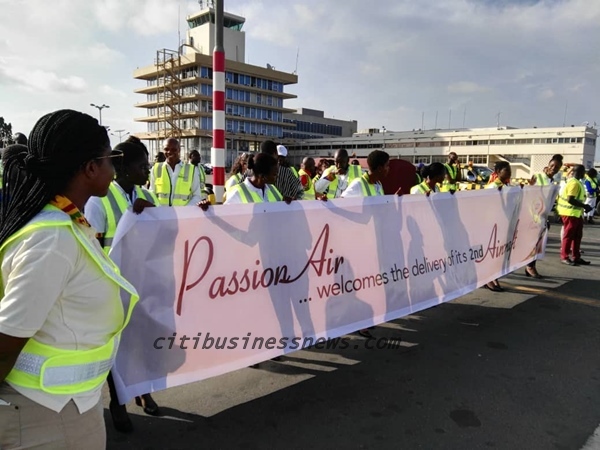 “The entry of Passion Air has led to a significant drop in airfares resulting in an increase in traffic from 400 to about 700 passengers, on the Accra Kumasi route. 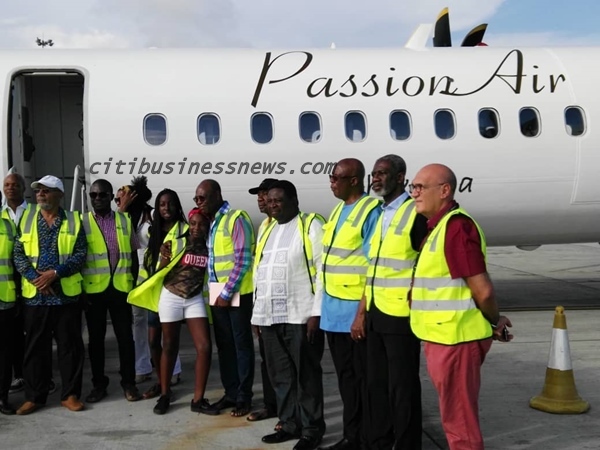 I am aware that Passion Air has increased its frequencies on the Kumasi-Accra-Kumasi routes from 6 to 10 flights a day and this is very commendable,” he noted. 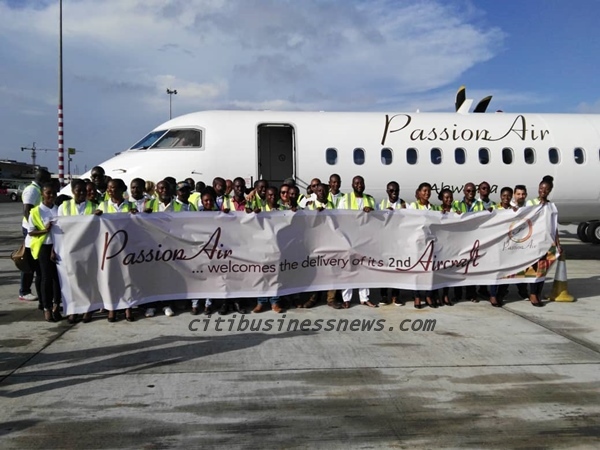 Passion Air is also seeking to increase its flight schedules to meet the rise in demand. According to the Distribution Manager at Passion Air, Ridwan Adamou, this should solidify its position within the market. “We plan to increase the frequency to a total of forty-two flights in the very near future. Five weeks ago, we stood at this exact place to promise that we will be bringing in our second aircraft by the end of September and we have delivered on our promise. I stand in front of you today, to give you another promise; our third commercial aircraft will be here in Accra and operate the Accra-Takoradi routes by the end of October,” he emphasized. The aircraft; Bombardier Q400, is a 78 seater capacity. The first commercial flight to Tamale is expected to take off on Tuesday, October 2, 2018.